Mayo Have a Nice Birthday! How is this a joke? 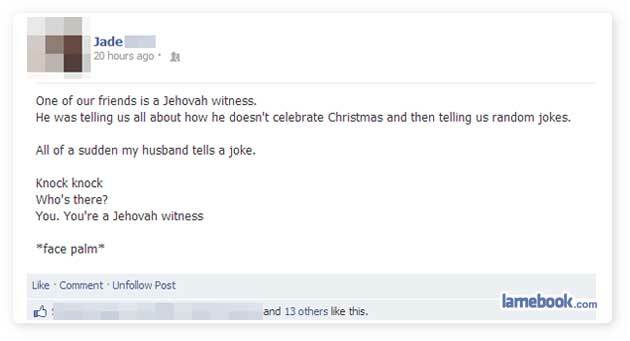 Is the joke that they actually invited a Jehovah’s Witness over, and they let him in when he arrived?